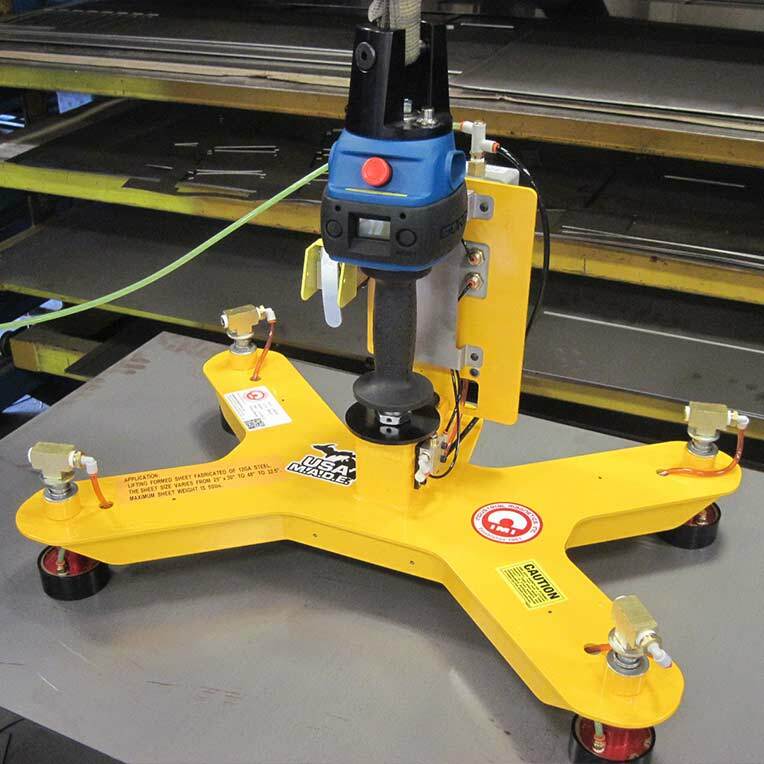 Our Magnetic Sheet and Plate Lifters are designed and manufactured to load and/or unload steel sheets from pallets, racks, cutting tables, shears and more. 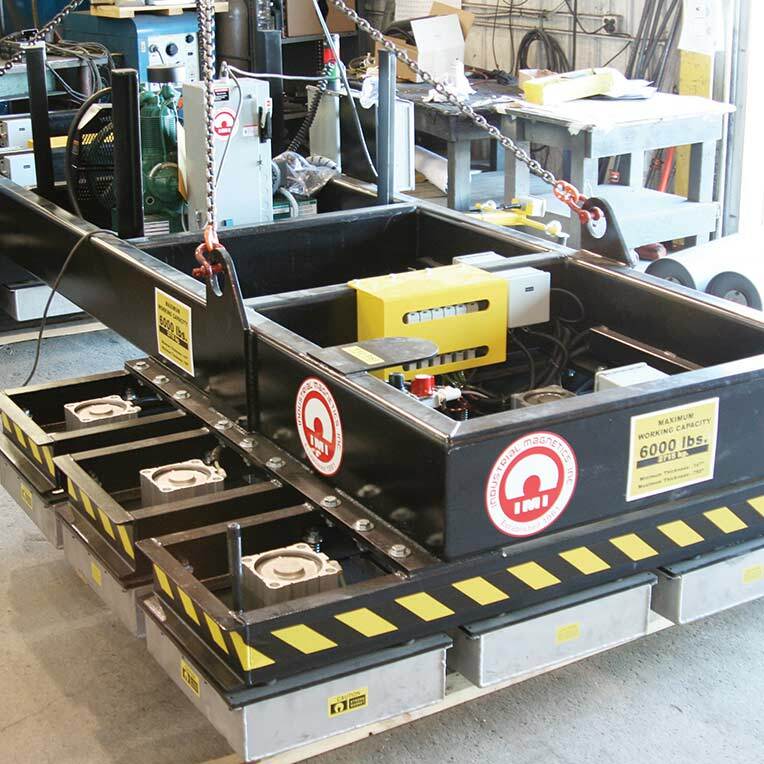 Our unique designs of these magnetic lifting systems allow one person to safely and effectively move and load sheets onto cutting tables, shear beds and other fabrication equipment. 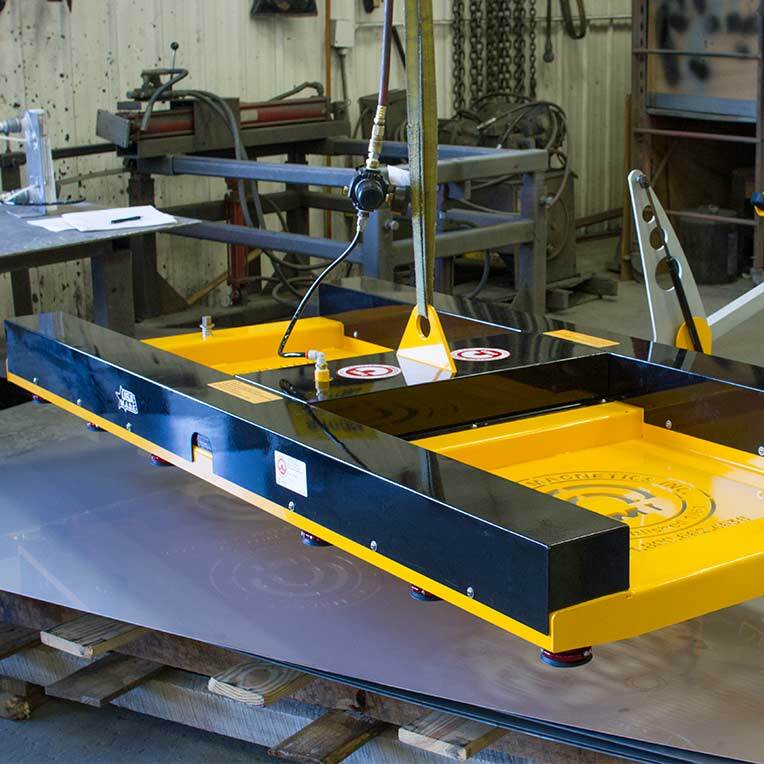 The Magnetic Sheet and Plate Lifter can be designed to your unique specifications These permanent magnets require a simple burst of shop air to release the sheets and plates.